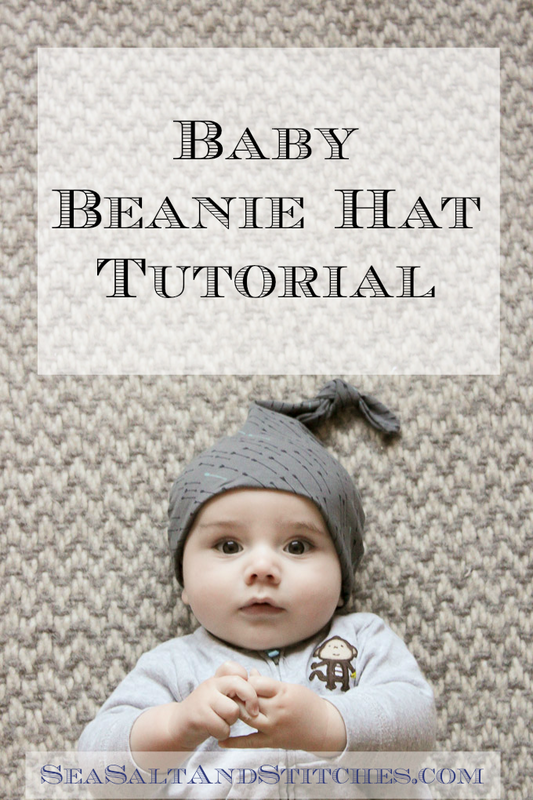 Tutorial time again, and boy do I have a cute one for you today! 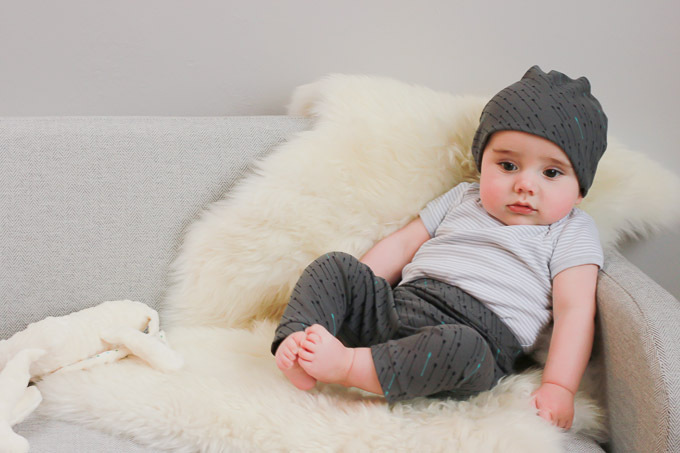 I have the adorable Luke modelling a very easy baby beanie hat which would make a very cute last minute Christmas present for any babies you need a gift for. You could easily size this up to make an adult hat as well! 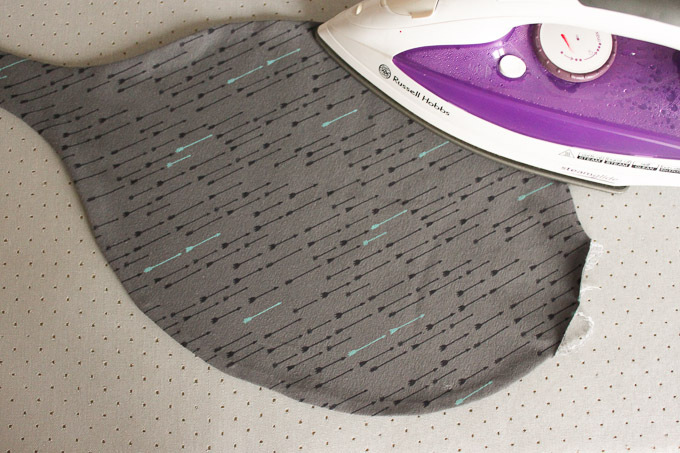 The lovely Elephant In My Handbag supplied the gorgeous arrow print jersey for this tutorial, and if you fancy getting your hands on some for yourself, you can follow this link. 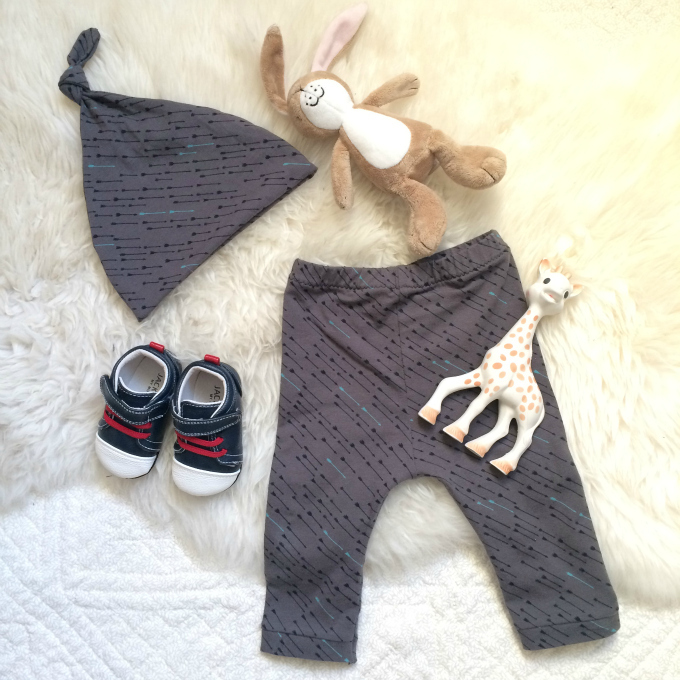 Luke is also rocking some rather rad matching leggings. If you feel like making some of them as well, I used this tutorial (er… it’s in french, but the photos are pretty easy to follow! ), but made a few changes. I might do a tutorial on my version some other day. 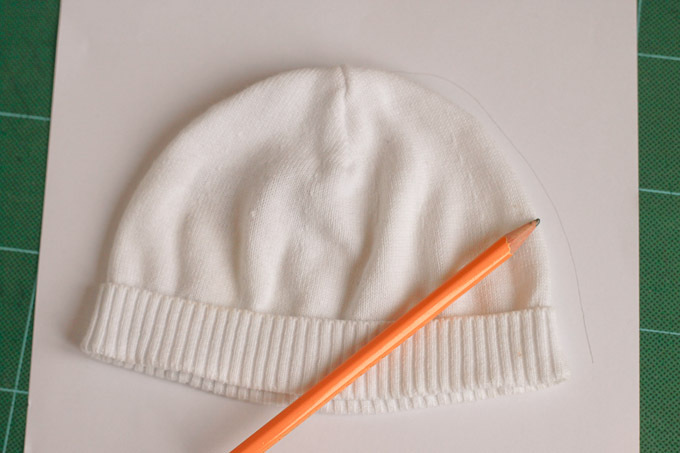 If you have a beanie hat which fits, use this as your guide and draw around it onto your paper. 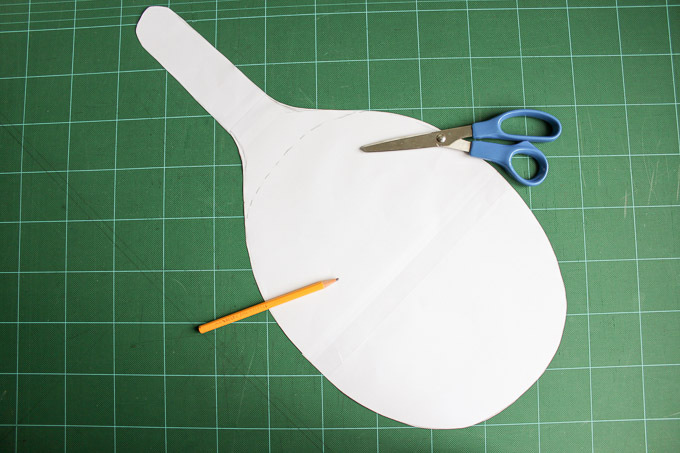 If you don’t have a hat, then measure the head you are making your hat for and draw a semi-circle with the diameter of half the head measurement. 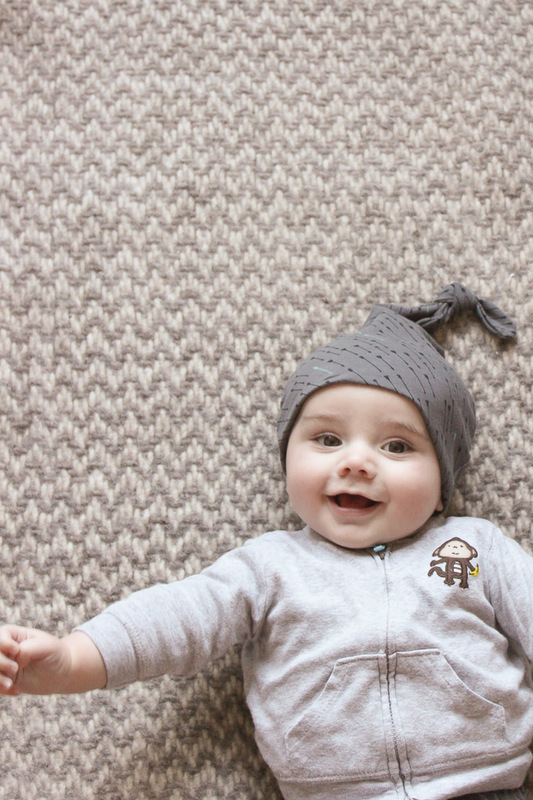 No need for seam allowance as we want the hat to the tight and the jersey will stretch. 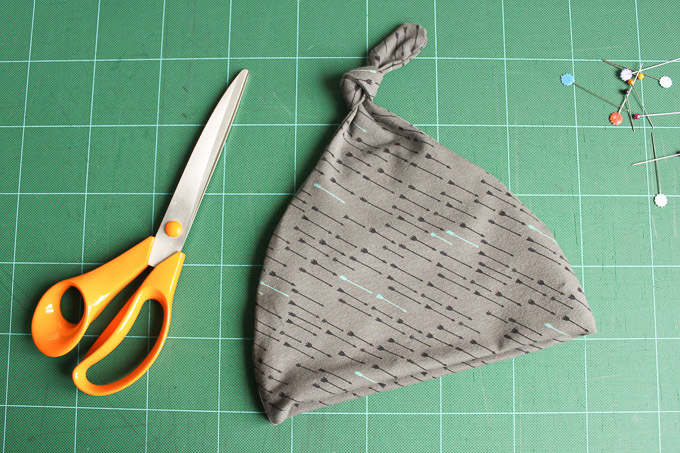 Fold fabric in half, rights-sides together and pin pattern to fabric. 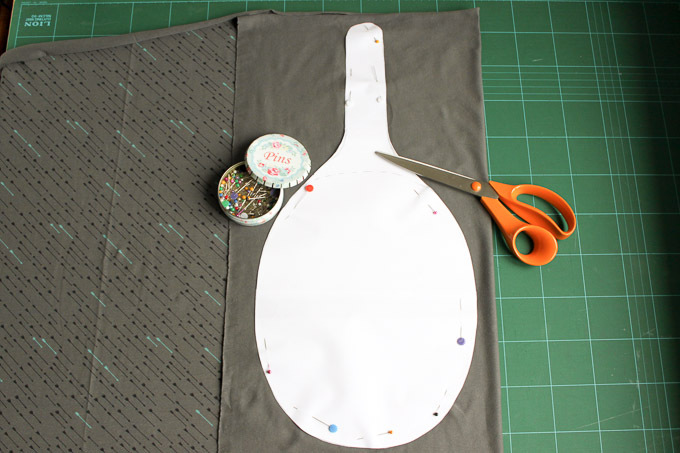 Cut around pattern to give you two pieces. Keeping fabric right-sides together, pin the two pieces together and then sew almost all the way around, but leave a small hole as shown in the photo above (about 5cm long). 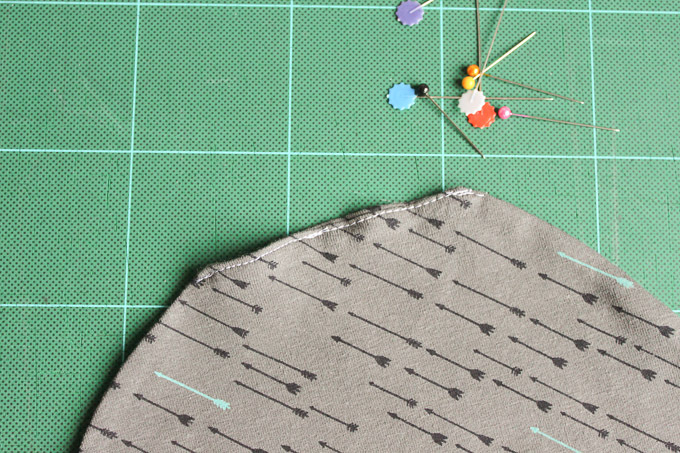 I used my overlocker but you could use the stretch stitch (and a ball point needle) on your sewing machine. 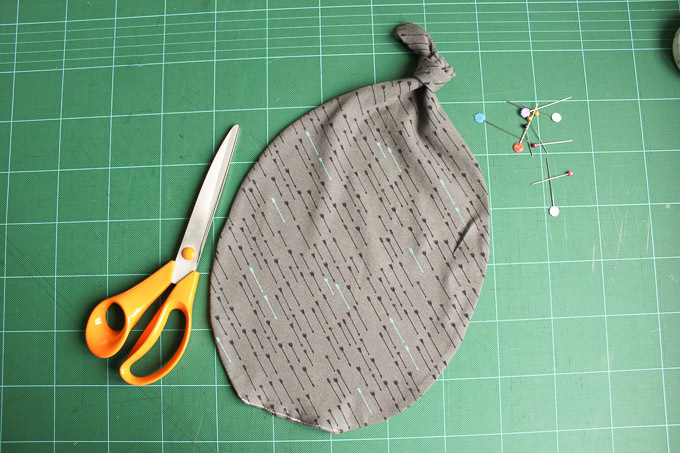 Use the hole you left open to turn your hat the right way around and then iron flat to smooth your seams. Fold the edges of your hole inwards and press with iron. 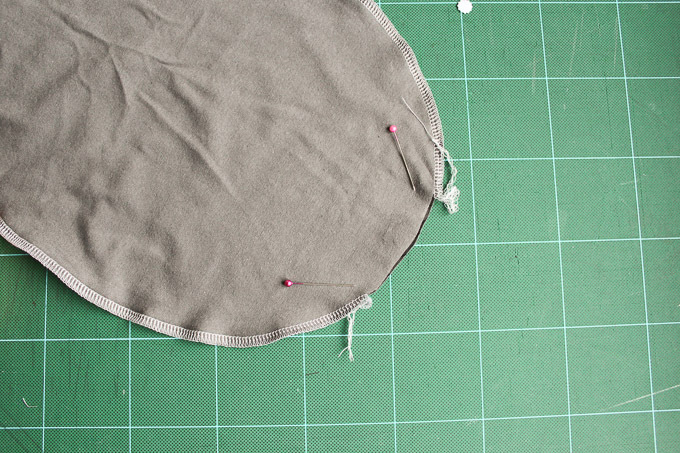 Sew the hole shut, making sure your completely catch the ends inside the fabric. 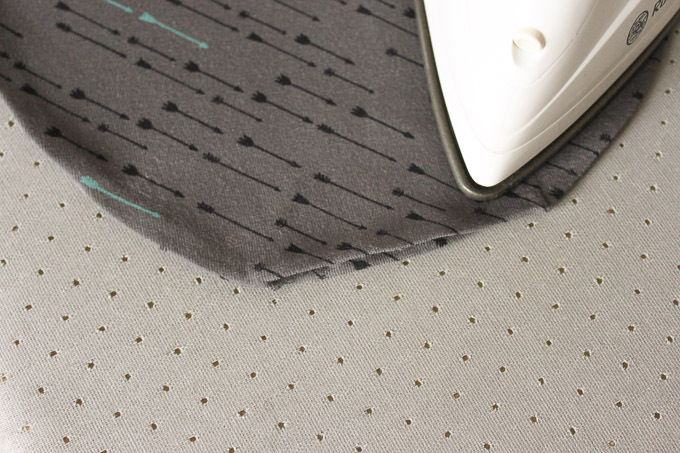 It doesn’t matter if it’s messy – you won’t see this stitching (unless you have a mother like mine who pulls things apart to inspect your work…!!)! 5. TIE YOUR TOP KNOT AND COMPLETE YOUR HAT! 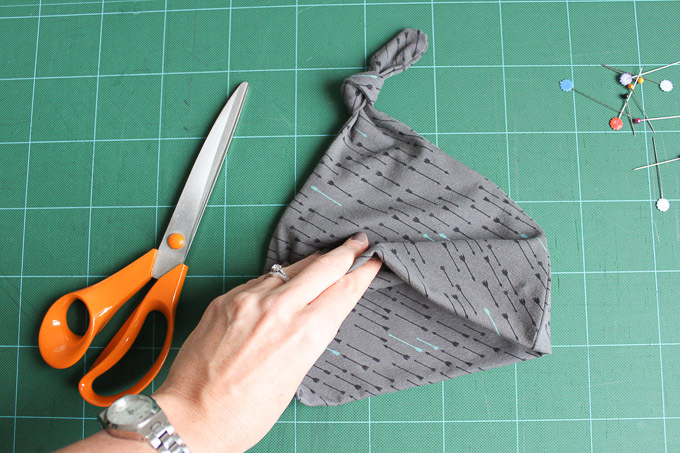 Tie the long section of the hat into a loose knot. 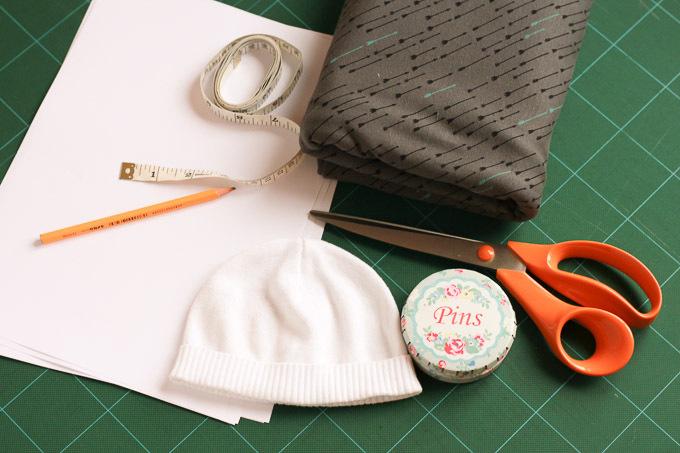 Pull the two sides of the hat apart and push the opposite end from the top knot up into the fabric to create your hat shape. 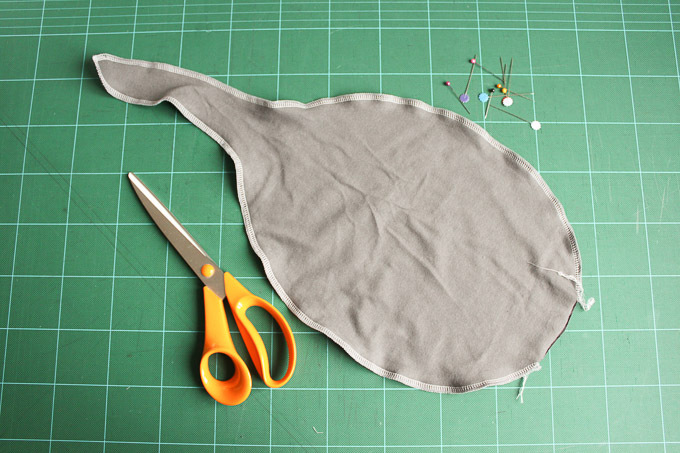 I hope that makes sense – basically your hat with will double sided and have the fabric on the inside as well as outside. Ta-da, you have made your hat! 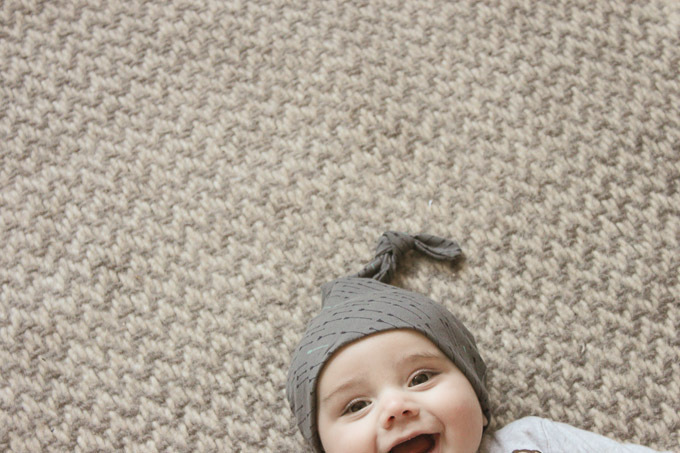 And with that I can hear someone waking up from his nap so I had better go…see you next time.